FEATURED SPEAKER: Catherine Watson Genna, LLL Leader, BS, IBCLC, is an International Board Certified Lactation Consultant in private practice in New York City. Certified in 1992, Catherine is particularly interested in helping moms and babies breastfeed when they have medical challenges. She speaks to healthcare professionals around the world on assisting breastfeeding babies with anatomical, genetic or neurological problems. Her presentations and her writing feature her clinical photographs, which have also been published widely. Her team has just wrapped up a research project using ultrasound to examine tongue movements of babies with tongue-tie before and after frenotomy (office treatment) and is preparing to publish. Her current project looks at coordination of swallowing and breathing in babies with posterior tongue-tie. 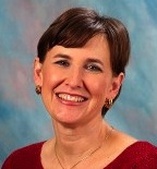 She is the author of Selecting and Using Breastfeeding Tools: Improving Care and Outcomes (Hale 2009) and Supporting Sucking Skills in Breastfeeding Infants (Jones and Bartlett Publishers 2008, 2nd edition Jones and Bartlett Publishers 2013) as well as professional journal articles. Catherine is still an active La Leche League Leader and runs a monthly toddler meeting in Queens as well as an online group. Catherine currently serves as Associate Editor for the United States Lactation Consultant Association journal Clinical Lactation. Her own two offspring (who were of course breastfed!) are a seminarian and a registered nurse. Catherine Burns, CLC, CST, Doula (CD) DONA, RSMT, IDME supports childbearing mothers and babies at birth and with home visits for newborn breastfeeding help. As a CLC Catherine counsels mothers, while as craniosacral therapist, she provides gentle, effective hands-on therapy to help babies with breastfeeding. As a somatic movement therapist Catherine also offers bodywork and somatic activities to women for better alignment for easier birth and for postpartum recovery. Hope Lien, CD(DONA), CPD(DONA), CLC, is certified as a Lactation Counselor through Healthy Children, and certified as a Breastfeeding Without Birthing Instructor. 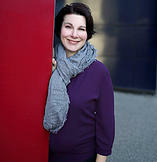 She also works as a birth and postpartum doula at A Woman's Design and Held By Hope in Minneapolis, MN. She became passionate about Breastfeeding Outside the Box after her own journey to induce lactation for her adopted daughter. She was able to produce a moderate supply and was able to nurse her daughter for two years, despite never having birthed or nursed a baby before. She found in many areas of her work that women she worked with were struggling with similar issues of low or no supply because of various factors. It was from these experiences that Hope felt inspired to share with others the incredible value of a nurturing nursing relationship, while still nourishing baby-- whether or not there was a full supply (or any supply) of milk. Hope lives in the Minneapolis area with her husband and 2 year old daughter, loves to travel, and enjoys tasting and trying to learn to cook various ethnic foods. Jen Mason, LLL Leader, IBCLC, RLC, is experienced and passionate about supporting families as an International Board Certified Lactation Consultant (IBCLC), offering in-home and in-office lactation visits and breastfeeding education through Twin Cities Lactation LLC. She is also an active volunteer with the Minnesota Breastfeeding Coalition and is a member of the United States Lactation Consultant Association, the International Lactation Consultant Association, and the Childbirth Collective. Jen has been involved with LLL since 2006 and counseling families as a LLL Leader since 2011. Jen’s philosophy is to provide compassionate encouragement, reassurance and evidence-based information to families so they can make informed decisions that are the best for their family at that moment in time. She enjoys spending time with her family (including her four daughters), keeping up-to-date on lactation research, organic gardening, knitting, and going to book club with friends. Tiffany (Tipper) Gallagher, BA, IBCLC, RLC, is an International Board Certified Lactation Consultant, editor, mother of four (including a set of twins), and all-around nerd about a whole lot of things. In her private lactation consulting practice, she provides in-home visits for families experiencing breastfeeding difficulties as well as prenatal and postnatal education in private and group settings. She is also a lactation consultant on staff at Hennepin County Medical Center. Tipper melds her passions for writing, advocacy, and sharing evidence-based information by blogging at www.theboobgeek.com, presenting at conferences, and working as part of the Best for Babes Foundation social media team. Tipper is a member of the Childbirth Collective, International Lactation Consultant Association (recently serving on the logo redesign task force), and United States Lactation Consultant Association. ​Crystal Clancy is a Licensed Marriage and Family Therapist specializing in perinatal mood and anxiety disorders, infant/pregnancy loss, and infertility. She has a private practice in Eagan called Stages Counseling and Consultation Services. She is Co-Director of Pregnancy and Postpartum Support MN, one of the founding members, and co-developed the PPSM HelpLine in 2010. Crystal came to this area of practice following her experience with infertility and postpartum depression. She is married with two children, aged 13 and 10. She received her Masters in Professional Counseling at St. Mary's University, and holds a Post-Masters Certificate in Marriage and Family Therapy. She is also an Approved Supervisor with the Board of Marriage and Family Therapy, and the Board of Behavioral Health and Therapy. For fun, she is in the process of becoming a certified Aromatherapist. Angie Sonrode is a self described “lactivist” who is mildly obsessed with birth, breastfeeding, and the motherhood experience. Luckily as an LLL Leader, birth and postpartum doula, and new mama teacher she gets to talk about these things all the time. She is also one of the co-founders (along with her husband) of the Mid Drift Movement, a non-profit working to change society’s unrealistic expectations of what a mother should look like post birth. Angie and Mid Drift are currently making a documentary about postpartum body image issues around the world. She has been lactating or pregnant (or both!) for the last dozen years and has four breastfed children and an uber supportive partner who listens to all of her birth and breastfeeding talk patiently. Mike Sonrode is a proud 39-year-old father of four amazing children, and with wife Angie, the co-founder of The Mid Drift Movement. As a feminist, partner, high school teacher, friend, brother, and father, Mike feels it is time to dedicate energy and creativity towards a movement that will work to end the cycle of body shame that is all too prevalent in our culture, which is why he will take a sabbatical from teaching to do so next year as his nonprofit and related documentary film take form. From firsthand experience with a partner struggling with postpartum body image, Mike believes his wife, and all mothers, need to know that they are still beautiful after baby, even if they might not look like they did pre-baby. Therefore, Mike's mission is to promote hearing the partners' perspectives regarding postpartum body image for these conversations involve all of us. Laura Calbone, Co-Leader of the Holistic Moms Network – Twin Cities Chapter, has been part of the organization for five years. She is passionate about holistic health and environmental issues and the interconnectedness of the two. After working in corporate America for 10 years, Laura was promoted to stay-at-home mom. She lives in Bloomington, MN with her husband and two sons. Her favorite things about life are quality time with loved ones, good food, good sleep, outdoor exercise, music, and new adventures. Casey Berberich, LLL Leader, CLC, has been an LLL Leader since 2009. She has many roles in her family and community. You can find her homeschooling her four boys, visiting families to provide developmental screens for the younger members of the community, and teaching in a preschool co-op a few days a month. She also enjoys reading, gardening, and weight lifting. Jill Lock, LLL Leader, BA, BSN, RN, has been a LLL Leader since 2010, first in MI, then WI, and now MN! She enjoys knitting, reading, cooking, and being outside playing with her family. After having having her three lovely, spunky children, Jill found herself having to rethink what it means to be a strong and fit momma. Motivated to heal her body and to be a healthy, happy, functionally fit person, Jill spends time daily exploring and studying human movement from her foundations in anthropology, nursing, and as a former NCAA Division I athlete. Anne Casey has been a La Leche League Leader since 2009 and the Area Communications Coordinator since 2012. She has served as editor of Northern LLLights, La Leche League of Minnesota and Dakotas’ newsletter for Leaders and has contributed to New Beginnings, the magazine of LLL USA. Anne lives in St. Louis Park, MN with her husband, two children, and many musical instruments. Jo Carrane is a recovering lawyer and working mom of Mike (6) and Joey (3), Jo has been an LLL Leader for 4 1/2 years and Area Professional Liaison for almost 3 years. Following in her mother's LLL footsteps, Jo has enjoyed helping moms learn to make their breastfeeding relationship possible even when heading back to work. As a consultant who regularly travels Jo is all too familiar with the need for flexibility and creativity in a successful nursing relationship. Jessica Heinz is a Mom, a La Leche League Leader and a Pilates Instructor. She has B.A. in Ballet from Mercyhurst University in Erie, PA and has spent many years teaching Ballet, Creative Movement and Pilates to students of all ages. Jessica loves traveling and spending time exploring with her husband and two sons.